Is the Notion of Islamophobia Even Possible? Islamophobia is, by definition, impossible. A phobia is an anxiety disorder in which the subject experiences an irrational and unreasonable fear that has no demonstrable basis in reality. Anxiety about the intentions of Islam vis-à-vis Western society is hardly irrational or unreasonable given the constant clamoring of Islamic spokesmen for the subjugation and/or death of everyone unconvinced by its claim to being the ultimate authority about everything. Dans GEO Histoire du Vendredi 24 août 2018, Frédéric Granier et Volker Saux racontent la Libération de Paris : le récit de dix jours mouvementés. "La ville n’avait plus aucune signification tactique. En dépit de sa gloire historique, Paris ne représentait qu’une tâche d’encre sur nos cartes ; il fallait l’éviter dans notre marche vers le Rhin"
Is it true that there’s no freedom of speech in France? When we met in Paris, [a charming French journalist] said she was envious of Britain, where it was still possible to express conservative views in all media. The left, she said, had such tight control of the papers, broadcast media and publishing that many conservative books published by les Anglo-Saxons would never see the light of day in France. As an example, she pointed at her heavily thumbed and bookmarked copy of my Democracy as a Neocon Trick, which she said was brilliant even though she disagreed with some of the points I made. The book, she lamented, ought to be widely read in France, but it would never be published. … Since my lovely and intelligent interviewer sounded like a run-of-the-mill British or American conservative, with a slight neo- tilt, I assumed that Radio Courtoisie was roughly in the same political band. Anyway, the interview was recorded at the end of May and was scheduled to run today at midday, French time, and then again at midnight. I promptly told all my French friends about it, ordering them to listen on pain of death. They all promised to do so, what with the fierce expression on my face. But, they said, they were surprised that Radio Courtoisie, which they described as ‘extreme right-wing’ and ‘pro-Poutine‘, would run my interview on that subject. Knowing that I too am extreme right-wing to them, I was surprised. It’s all that political taxonomy, which in France is even more confused than here. Now this isn’t the first time I’ve been censored, but never for that reason. For ‘violent’ though my accusations against Putin might have been, they certainly weren’t libellous – for the simple reason that they were all true. … So I suppose my interviewer was right when saying there’s no freedom of speech in France. I should have listened more attentively. Did it ever occur to CNN that if these Muslims had not been stockpiling weapons and training children for school shootings, no one would need to be worried about “Islamophobia”? As usual, the mainstream media is more concerned with imagined threats by (deplorable) segments of the U.S. population/of Western populations against minorities — threats that never seem to pan out — than they are about the real threats, direct or indirect, by minorities or others, against U.S./Western society. 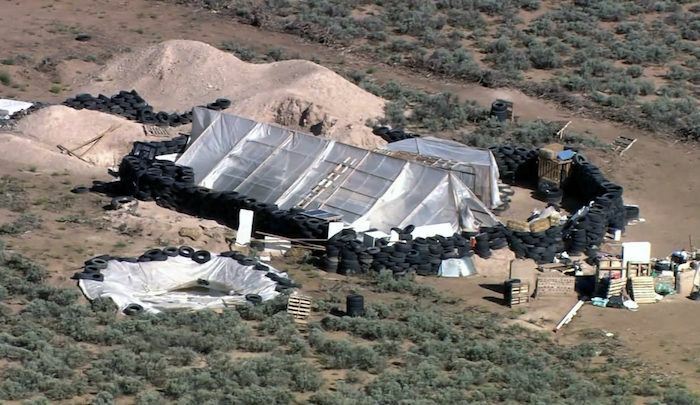 As for Tim Brown, he goes further as he quotes part of the CNN article in a FreedomOutpost piece called CNN Is More Concerned That The New Mexico Islaimc Jihad Compound May Lead To "Racism & Islamophobia" [Than] They Are [About] What Actually Took Place There. The Fabricating News Network, CNN, seems to be more concerned that the news around the New Mexico Islamic jihad compound where Islamists killed a young boy in an Islamic ritual and were training other young children to commit mass school shootings in their jihad effort will lead to a [rise] in racism and Islamophobia than they seem concerned over what was actually going on there and the apparent government coverup of it. those who met [members of the black Muslim family] said they seemed friendly. A resident recalled how one of the men tenderly wiped the nose of a crying child. … The region’s history of welcoming outsiders has contributed to cross-cultural exchanges and a tolerant attitude that locals consider points of pride. Many are quick to distance the state’s countercultural vibe from the compound and its inhabitants, who are accused of training the children to commit mass shootings. But they also fear that the publicity around a case infused with allegations of terrorism, child abuse and faith healing might contribute to a rise in racism and Islamophobia. Isn't this the case in almost every single instance of Islamic jihad here in the States? The Muslim seems normal and just like everyone else and then all at once, they go jihadi, right? 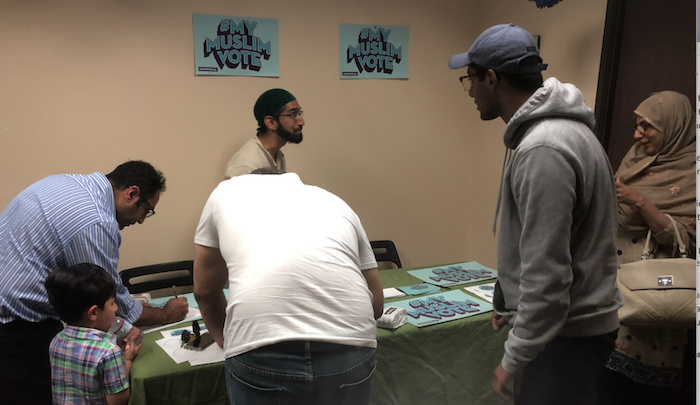 The establishment media takes for granted that there is a rise of “anti-Muslim activity” in the US, … however [in Aaron Schrank's Southern California Public Radio report] … There are no examples given of the “marked increase in anti-Muslim activity,” and FBI figures show that hate crimes against Jews are much more common than hate crimes against Muslims. But Muslim groups and Leftist groups in the US both find it useful to claim that Muslims are experiencing a wave of discrimination, harassment, and persecution in the US. This claim helps them demonize Trump and his attempt to limit immigration from jihadi hotspots, and to cast counterterror efforts in general in a bad light, because, you see, they create “hate” against Muslims. Just stay quiet and you’ll be okay.